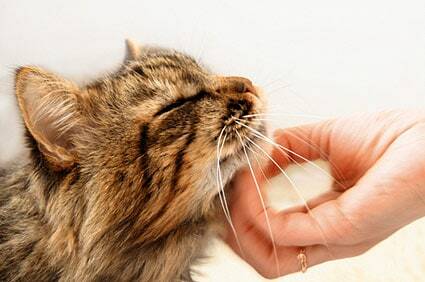 You love your furry purring kitty cat friends, and you want what’s best for them, right? We know this means keeping them safe, healthy and happy. These five apps are must haves for the cat lover;they have everything you could ever need in an app. Wouldn’t you love it if your kitty had his very own Facebook page? Well, there is something even better. Yep, you read it right. Catbook is social media for your cat! This app will aid in networking you and your kitty with an online community of over one million cat lovers. You can use this app to post cute pictures of your kitty, and updates about what your cat’s been up to. Also, you can use this app to connect with other cat lovers to exchange tips, tricks and other cat friendly advice and chit-chat. YOUR cat is the most adorable creature in the world, right? How easy is it to capture good pictures of him? Yep, we thought so! It can be incredibly difficult to get that perfect picture to show off just how cute your kitty is. Whenever you think you are just about to get the perfect shot, healways seems to look away. PetSnap is an app that plays sounds to grab your cat’s attention, so when curiosity takes over and he looks at your phone you can snap a picture of that curious face. How cool is that? The PetMD First Aid & Emergency appt for Cats provides you, a loving kitty cat parent, with quick and understandable advice for the most common cat emergencies and medical concerns. This app can give you some peace of mind and necessary knowledge for how to respond to any medical concern. Whether you’re at home or on the go, this app is for you! Petlog is the ultimate app for cat owners. If your kitty wanders off you can send an alert to add your cat to their database of missing pets and even post to their Lost and Found Facebook page.Petlog also gives you the opportunity to look for vets and rescues through the Cat Friendly Directory. Who says you get to have all the fun? This app is the perfect game maker for you and you furry friend. It has the red “laser” dot right on your iPhone screen for your cat to try to “catch”. No more searching the kitchen drawers and under beds for the laser pointer. Best of all – you can play too! Entertainment for you and your cat never got so easy. What’s your favorite pet friendly app? 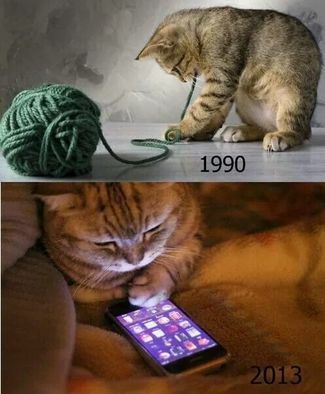 We’d love to hear how technology is keeping up with the demands of you and your cat – or dog. So, tell us! Did you know that, according to the Pet Poison Helpline, household cleaners were among the top ten toxins to pets for the year 2014? Household cleaners were the number one toxin for cats while following closely behind at number six for dogs. Additionally, toxins are bad for your health and are harmful to the planet. Many people think you have to ingest the chemical for it to be harmful. Those toxins are harmful to breathe in and pose a threat as we and our pets come into contact with the surfaces that have cleaned with those commercial cleaners, as well! Have you ever considered going green? There’s no time like the present. In fact, you can make your own natural products at home that will be safe for your family, including your pets. It’s quick, easy and cost effective! It saves you money in the long run. Many people don’t want to throw out the commercial products that they have on hand – and rightly so. Start simple. As you run out of your commercial products, you can start replacing them with good ole homemade organic products. “So, where you I start?” Start by shopping for a few of these products. You probably have most of these on hand at home, which will make the process of going green even simpler than you might think. Pure, essential oils (which are great for their antiseptic, antibacterial qualities and they smell so good. Rosemary, tea tree, lavender, rosemary, peppermint and lemongrass are just a few). There are literally hundreds, maybe thousands of free recipes for making every single household cleaner you can think of. We came across a great book “The Organically Clean Home: 150 Organic Cleaning Products” by Becky Rapinchuk. It comes with simple instructions on how you can get started and also contains many practical hints along the way. This book has received great reviews on amazon.com and even better, it’s FREE if you subscribe to kindle unlimited! What next? Simply combine the ingredients and voila! Use one tablespoon per load and run your dishwasher as you normally would. Worried about hard water spot? In her book, Becky suggests putting distilled white vinegar in your dishwasher’s rinse compartment. By the way, this has a 3 week shelf life! 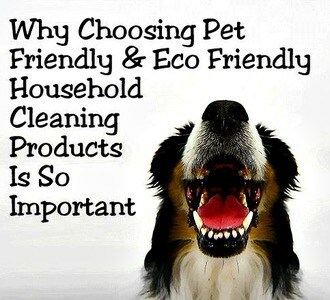 What are your “go to” natural cleaning products? We’d love to hear. Happy cleaning!